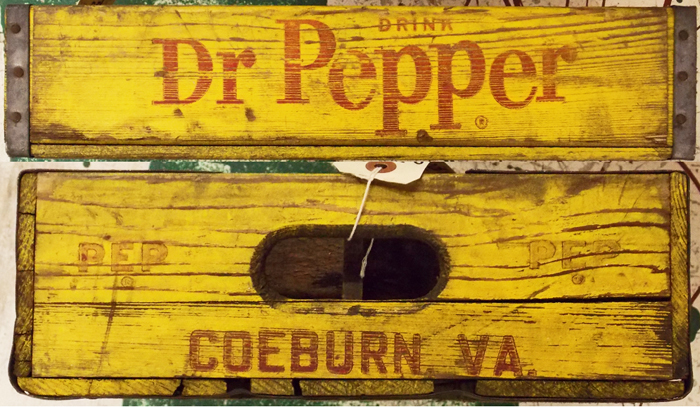 The Dr. Pepper Bottling Company of Coeburn, VA began its life in June of 1936. (1) James A. Bond, William M. Fleenor, and Bryan Burchett are listed as being the owners of the company at the time of its opening. The company's franchise area consisted of Wise, Russell, Dickenson, Buchannan, Lee, and Scott counties. (1) In fact the company created their own beverage line known as Blue Ridge Beverages whose bottle label showed a map of these areas in the early 1940's. There is no relation that I know between this Blue Ridge Beverages and the Blue Ridge Beverages line that the Marion Bottling Company formed from their Blue Ridge Ginger Ale brand in 1957. By 1948 the company has dropped the Blue Ridge Beverage line in favor of Dr. Pepper's Circle A Brand Beverages. William M. Fleenor sold the company to the Pepsi-Bottling Company of Norton, VA by February 1959 and died in March of the same year. The owner of the Pepsi-Cola Bottling Company of Norton regularly purchased failed smaller companies in his franchise area in order to stop others from buying them and competing against him, and to pick up other franchise sodas. The position of President of the Dr. pepper Bottling Company was filled by Robert P. Dorton who had been General Manager of the Pepsi-Cola Bottling Company of Norton, VA. There is a suggestion that the company wasn't operating at that time, but in less than a year's time he had boosted the sales of Dr. Pepper, and Nesbitts Orange, substantially. 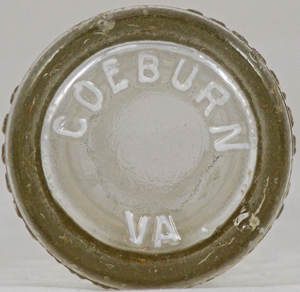 One of these bottling companies that he purchased, and shut down, would be the Sun Rise Bottling Company of Tazewell, VA in 1960. It appears that he wanted to keep the Dr. Pepper Bottling Company operational as a branch plant. The other two officers in the company are Larry Morris, Vice President and sales manager, and Horace Couch as Production manager. The Dr. Pepper Bottling Company Incorporated was dissolved by order of the State Corporation Commission on June 1, 1971. (3) This is obviously when the Dr. Pepper franchise was taken over by the Pepsi-Cola Bottling Company of Norton, VA. Unfortunately there is nothing left of the plant today aside from a concrete slab and what artifacts we can find from this company. 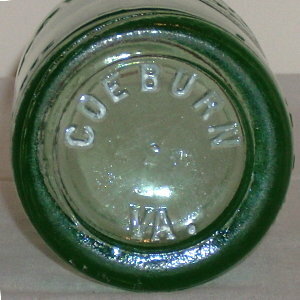 This of course would be the last bottler in a town whose bottling history started in the first decade of the Twentieth Century. Occupying the old Chero-Cola Bottling Company plant is the Dr. Pepper Bottling Company. I haven’t got a photo of the outside, but I did find a photo of their bottling machine. Horace Couch the production manager is on the left, while Larry Morris the Vice President is on the right. They are bottling Nesbitts in 1960. 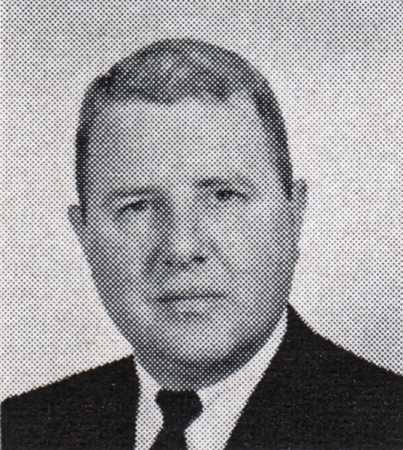 Robert P. Dorton, who took over as President of the company in 1959. 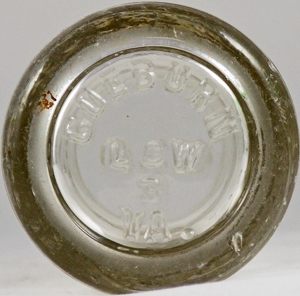 7oz "DP LITHIATED LEMON" bottle dated 1938. 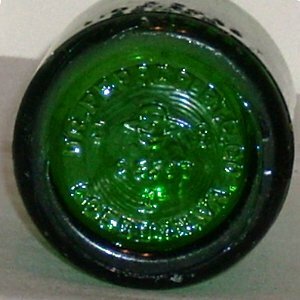 Was most likely a paper lebel bottle. 6 1/2oz Dr. Pepper "Good For Life" bottle. 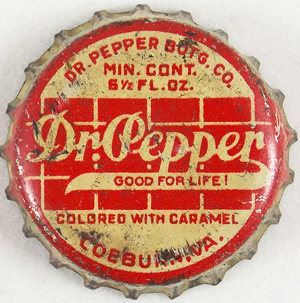 Early in the 1960’s the Dr. Pepper parent company introduced a new flavor line to replace the Circle A brand. 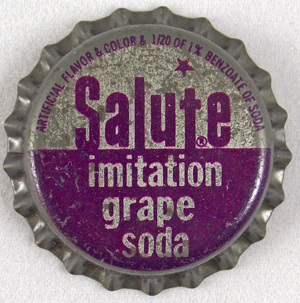 This new line was known as Salute, and the cap above is from the Coeburn bottling plant.